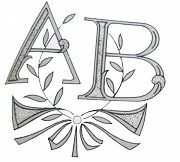 In Europe embroidered letters have been use to decorate textile for a very long time. 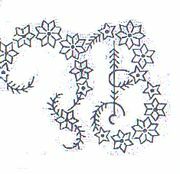 In medieval times letters were often embroidered on religious ornaments. On the Bayeux tapestry each panel has an embroidered text in Latin. 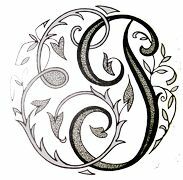 The design of embroidered letters has often been inspired by the art of calligraphy. 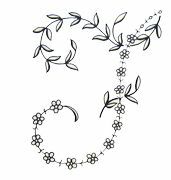 The letter on the left was designed in France circa 1500. 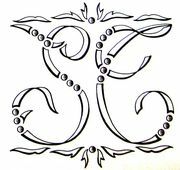 The use of monograms seems to be older than writing itself. In ancient time they were used to sign sculpture, art works or coins. 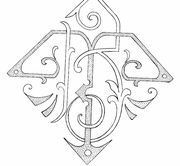 In the middle ages monograms were commonly used as a signature on official documents. 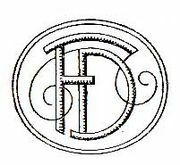 The use of monograms as a proof of ownership was and still is very common. 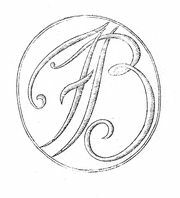 Monogram EP for tablecloth. Early 20th century. 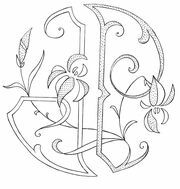 Double monogram JP. Mid 20th century. 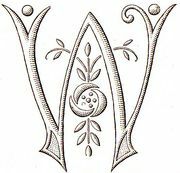 Geometical stylised monograms are typical of the 20th century. 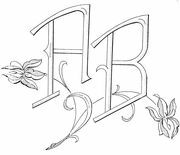 Monogram design H , end of the 19th century, at the time of gothic revival. 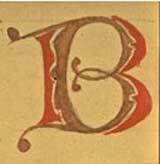 Letter H designed circa 1400. 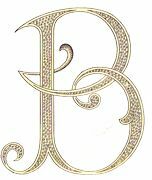 Double monogram RB with embroidred ears of wheat symbol of prosperity for the new couple. Early 20th century.